One of my favorite bands from the late 80's and 90's was Lush. They sort of epitomized the Shoegaze genre for me. They were ethereal and hypnotic and were just what was needed to go along with a buzz and a pair of headphones. But when tragedy struck the band (the suicide of founding member, friend and drummer Chris Acland), it became impossible for them to continue and Lush disbanded shortly after. 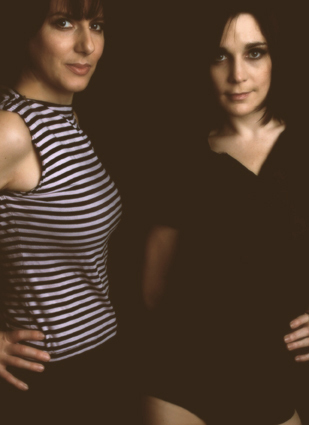 But from those ashes emerged Sing-Sing in 1997, made up of former Lush founder Emma Anderson and Lisa O'Neil along with a host of guest musicians. Sing-Sing issued two albums and a number of singles during their tenure. This track, You Don't Know, is off their debut album The Joy Of Sing-Sing issued in 2002 on their own Manifesto label. Sing-Sing broke up in December 2007. Since then, both Lisa and Emma have taken a break to assume the duties of motherhood. What's in the future is anyone's guess right now. But for the time being there is a rich legacy of music to dig through and discover (if you aren't familiar) and review (if you are). There is a MySpace page to check out and you can always check out their other songs via iTunes.